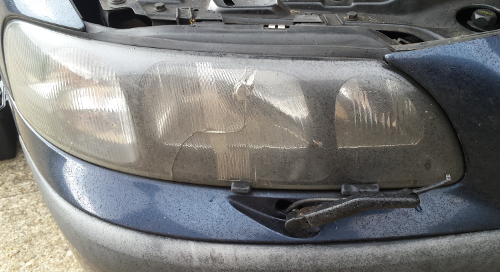 My 2003 S60 had a chip in the headlight lens, which over time, expectedly, developed into a crack. 2 of the fixings for the headlight cluster live under the bumper, so unfortunately it needs to be pulled forward in order to provide access. Once that's removed, we need to release the bumper from the wing. Slacken it until there are several threads exposed, and then push down on it to slide it forwards. It's attached to a piece of plastic that acts to lock the bumper in place. If your S60 has headlight wipers, we also need to detach the wiper arm. Although it probably looks quite corroded, the nut should come off relatively easily. The arm will probably feel quite well stuck, though. Grasp it firmly and, whilst pulling forwards, wiggle it a little so that it slips off the splines on the shaft. Carefully disconnect the washer hose from the underside of the arm and set to one side. We're now ready to pull the bumper forwards. Starting at the wing, carefully pull the bumper outwards and forwards (the top corner just in front of the arch needs to slide forwards a little to release. The bumper doesn't need to come too far forwards to give sufficient access (unless your hands are mammoth). We haven't, quite got access to the side fixing yet though. 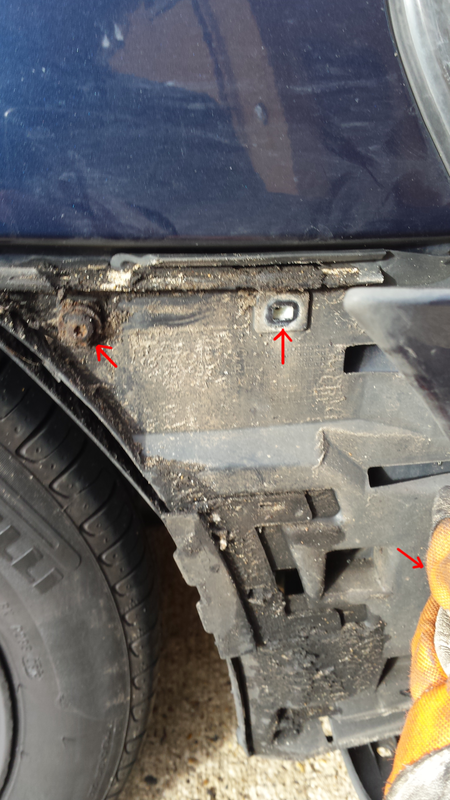 The piece of plastic used to anchor the bumper still covers it, so there are two (torx headed) screws and a bolt to remove. The bolt is just behind my hand in the picture below. Use a socket to remove the bolt, being careful not to be too rough with the surrounding plastics.  The next fixing, depending on the size of your hands, is a little more fiddly to get to. Its on the otherside of the headlamp unit, down by the radiator, so you'll need to pull the radiator grill out a little. Luckily it's not very tight, so you can loosen it with a socket (same size as the other fixings) and then carefully loosen and remove it by hand. With those removed the cluster should now be loose. If your car has headlamp wipers, carefully pull the bumper forward so that the wiper shaft comes free of the bumper (and pass the washer tube back through). Work the cluster forwards a little to give access to the connectors on the back. Most have spring retainers, simply push the metal spring inwards to unlock the connector. 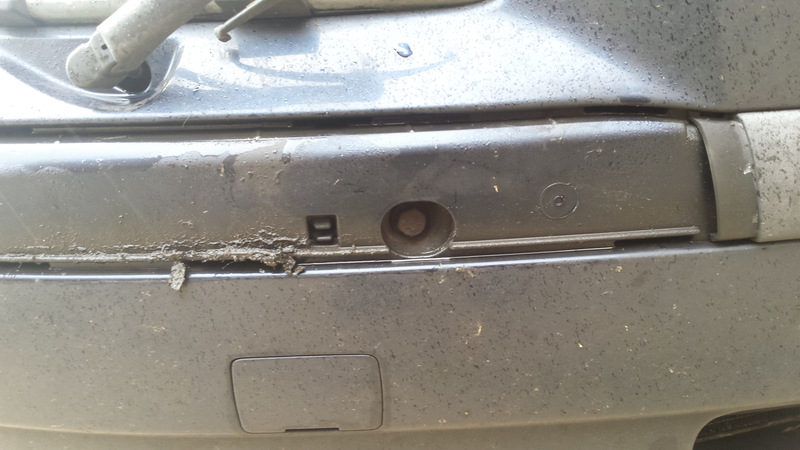 The headlamp wiper connector (rightmost connector in the pic above) uses a plastic latch, so be careful not to break it. Once the connectors have been disconnected you should be able to pull the cluster forward and out. 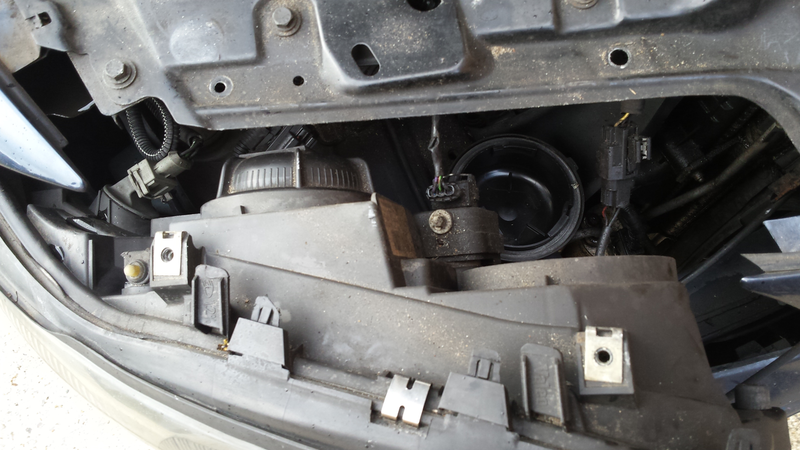 If you have headlamp wipers, you'll now need to unbolt the wiper motor from the bottom of the unit. Be careful not to break the plastic trim. Unscrew the two bolts on the bottom of the headlight unit and set the motor and trim to one side. 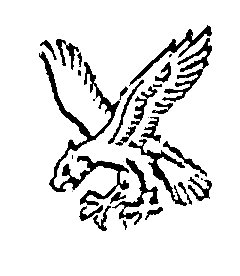 In the words of, so many, workshop manuals - Refitting is the reverse of removal. If needed, attach the wiper blade motor to the bottom of the new unit. Insert the new unit, part way into the gap, and then re-attach the connectors (don't forget to do this, it's nigh on impossible to reach some of them once the unit is in place). If you have wipers, be sure to pass the washer hose back through the hole on the bottom of the mounting. Carefully slide the unit into place. Make sure the wing side fixing slides into place correctly (as opposed to coming out and around). Once the unit is in the right place, screw the top mounting bolts loosely into place. Next, screw in the fiddly radiator side bolt, again leaving it quite loose. Then screw in the wing side bolt (I had to push lightly on the front of the headlamp unit to have it line up). Once all bolts are in place, tighten them up, starting with the top two and then moving onto the sides. Next we need to re-attach the bumper. I found that because I'd disturbed it, the anchor had slid backwards slightly, so I needed to go back to the Torx screw, slacken it some more and push forwards, as before. Lift the bumper to bring it inline. 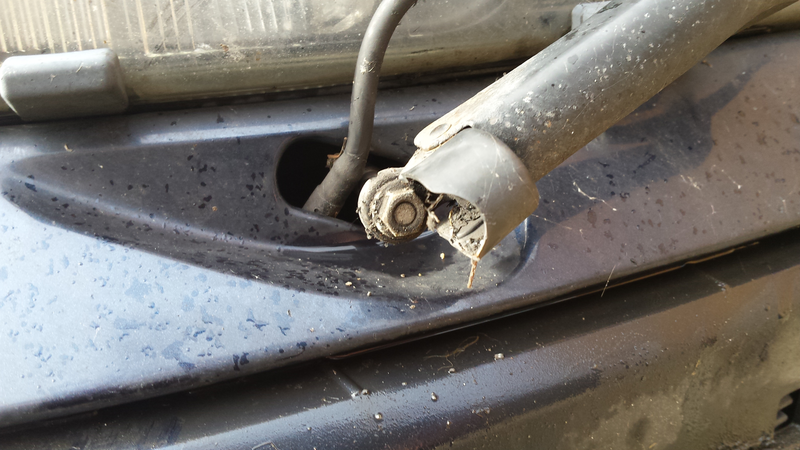 If you've got wipers, be careful to make sure the shaft and hose pass through the hole in the bumper. 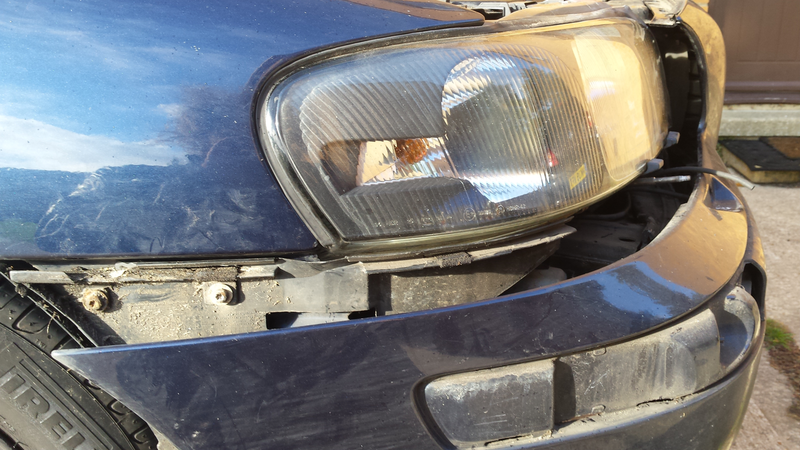 Once it's hooked on correctly, the bumper should sit there fairly well on its own. The next step is to tighten down the Torx screw in the arch, you may feel some resistance as it takes up the slack of the bumper. 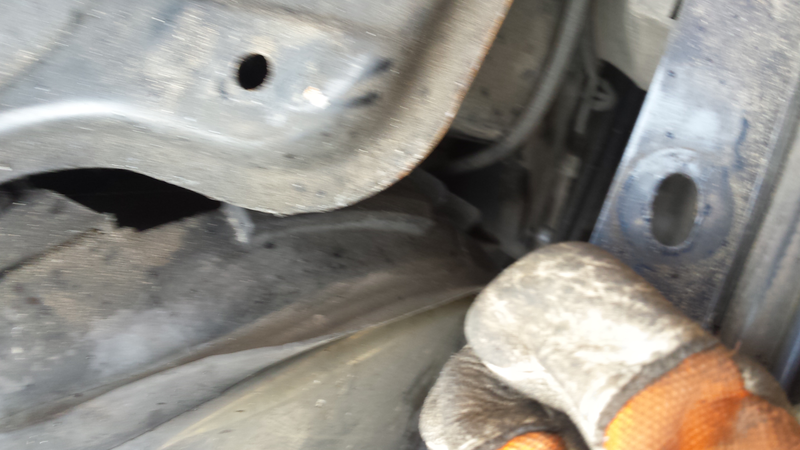 Next, screw in the bolt just under the headlight taking care not to overtighten and crack the plastic. Finally, the plastic rivets need re-installing in the radiator cross-member. To do so, you'll need to push the centre pieces back up (or even out), carefully pop the outer edges through the hold and then push the centre's back in until they sit level. Be very careful not to break the clips on the outer components. Tidy up your tools, close the bonnet and you're done.